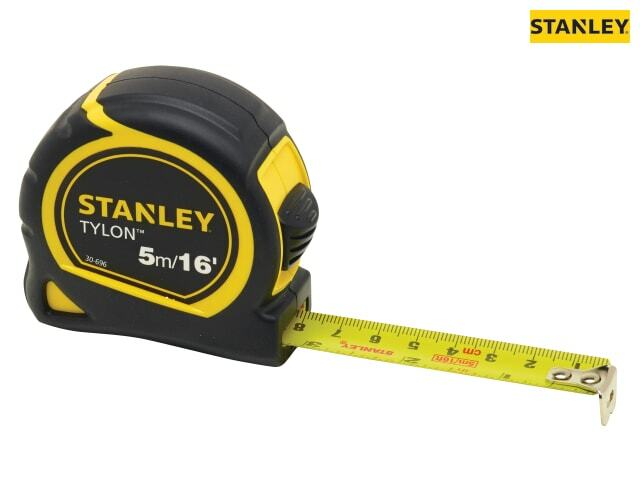 The Stanley Tylon™ Pocket Tape has a corrosion resistant, long-life Tylon™ coated blade with positive blade lock for accurate measurements. Shows both metric and imperial graduations. Fitted with a Tru-zero hook, that compensates accurately for internal and external measurements, with triple rivet construction for improved strength and durability. The impact resistant ABS plastic case is fitted with an ergonomic overmould for all day comfort. 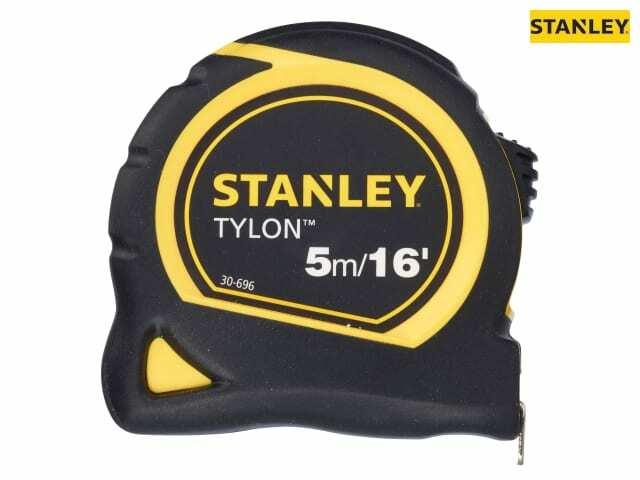 This Stanley Tylon™ Pocket Tape has metric and imperial graduations, and is supplied Carded.